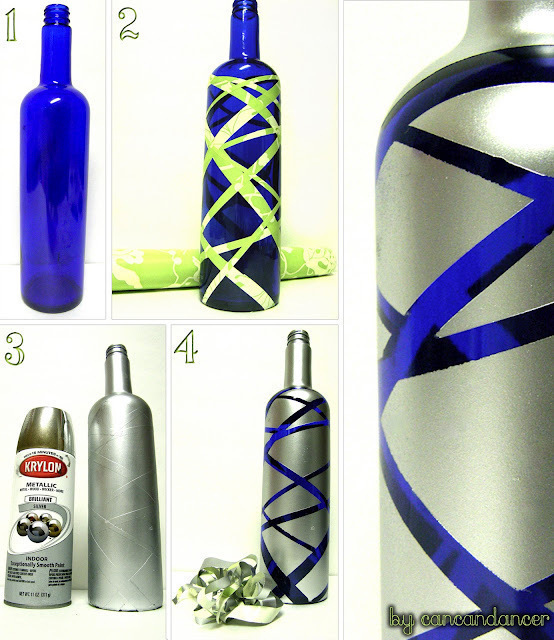 Turn those lovely blue, wine bottles into one-of-a-kind vases! I just can't part with blue wine bottles. Here is a way to reuse one, and make it into a unique vase! 5. Fill with twigs/flowers and show it off in your home! My project for this week, hopefully it will turn out as great as yours.